– Ecosol system is designed to carry light sliding partition structures that are mostly internal or external to the building. – This solution is used in the residential and office spaces due to its light weight and ease of use. – Ecosol system works well in the role of the doors, and using decorative glass can act as a movable walls inside the building, giving the interior a light and modern look. 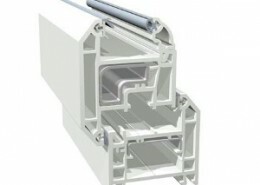 Veka profiles system designed for cost effective retail and commercial buildings.This has provided a profile providing reliable operation and good quality at a value price. It’s the perfect solution for each department. – The depth of 70 mm and a 5-chamber geometry. – The outer seal is specially designed to protect against penetration of cold air and moisture. – Steel reinforcements is the ensure long-term stability of the static and functionality. – Neat design with an elegant and classical optics. 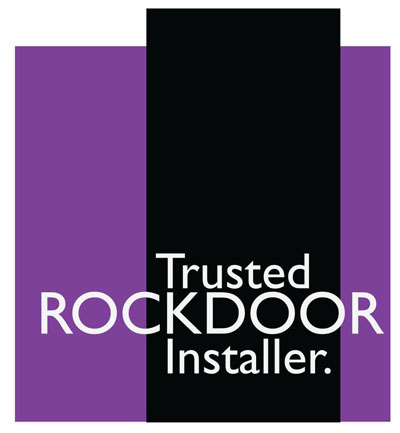 – Safe installation of standard fittings in the sash and frame. – Fittings – Roto standard with anti-theft latch and micro-ventilation. – Profiles – available in white. – 70 mm profile with the 5-chamber depth. 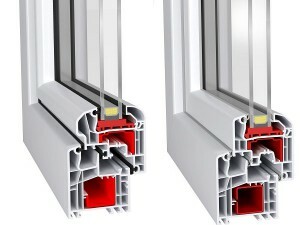 – 5-chamber profile is ensuring the excellent thermal and acoustic protection..
– 70 mm profiles are giving the great resistance to weather conditions. – Professionally estimated steel reinforcements guarantee perfect statics and the safety. 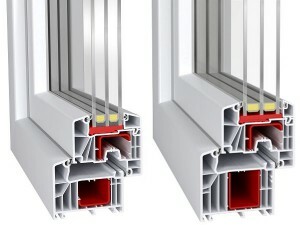 – Fittings – Roto NT standard with Anti-breaking systems and micro-ventilation. S-LINE profiles are characterized by elegant lines, distinctive semicircular sash and frame. Modern design and streamlined shapes are basic advantage of windows of the S-line. – A system with a depth of 70 mm and 5-chamber geometry. – Even and smooth surfaces are easy to clean and require no maintenance. – Rounded glazing beads make the wing has a uniform, smooth curves. – The possibility of applying glazing having a thickness of 14 to 42 mm without the use of additional profiles. – 13 mm axle fitting notch provides better protection from breaking in or removing the window. 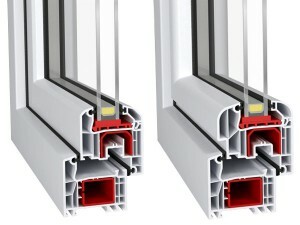 – Profile 70 mm wide offer greater resistance to weathering. – Professionally calculated steel reinforcements provide perfect statics and safety. 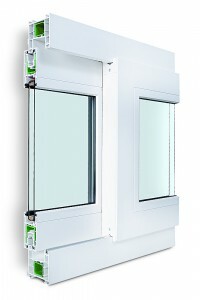 Fittings – Roto NT standard with one anti-theft latch and micro-ventilation. Profile – available in a full range of colours. Softline 82 is an innovative and robust system of windows, whose main feature is the combination of energy-saving housing and high functionality. 7-chamber frame, 82mm width and triple gasket system provides exceptional thermal insulation and very low heat penetration. Modern and elegant design make Softline 82 products unusual in every aspect. 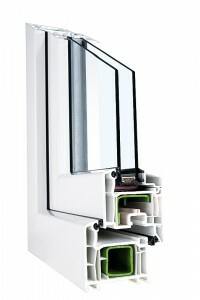 – System with a depth of 82mm and 7-cell frame. 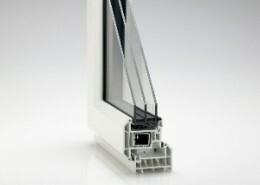 – The applicability of the glazing units with a thickness of 24 to 52 mm. – Triple seal system with central gasket ensures perfect tightness, acoustic and thermal insulation. – Steel reinforcements known for use in the system of 90mm – Alphaline, providing static stability and long-term functionality. – Neat design with classical optics and balanced proportions. 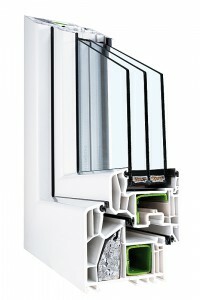 – Window fittings located in a dry chamber profile, which significantly extends their useful life. 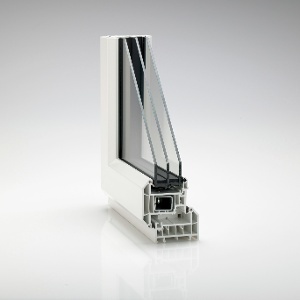 – Profile design provides the ability to use additional elements of 70mm and 90mm systems. – Fittings – Roto NT. – Windows – 4 / 18A / 4 / 18A / 4 U = 0.5 W / m2K with warm edge as standard. – Roto Swing handle in three colors to choose from: white, matt titanium, cognac. 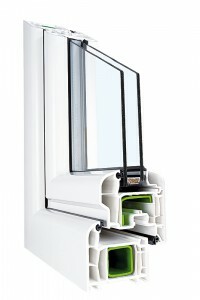 There is also the possibility of using the triple glazing units 4 / 18A / 4 / 18A / 4 = 0.5 W / m2K. This product is available in a full range of colours. Swingline is a modern product coming out to meet the expectations of customers. It is characterized by a rounded shape of the wing and the frame. It combines outstanding technical and thermal insulation and modern design. The result is designs that meet the highest requirements. An excellent choice for the modern family houses or apartments. – System with a depth of 70 mm and 5-chamber geometry. – Five-chamber system provides excellent thermal and acoustic protection. – The possibility of applying glass units having a thickness of 14 to 42 mm. 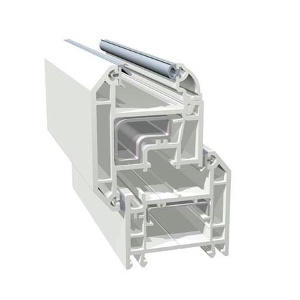 ALPHALINE is an exclusive system of profiles with a width of 90 mm and increased insulation parameters. 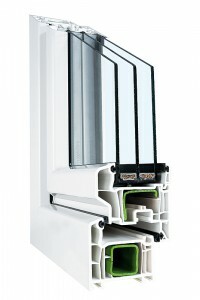 Technically perfect system made of three seals effectively protect from cold, moisture and uncontrolled air movement. 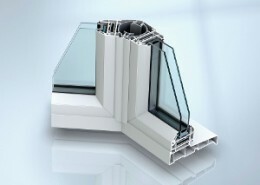 The use of triple glazing reduces the heat transfer of over 30%. Therefore, Alphaline is especially recommended for the implementation of energy-efficient homes. – System with a depth of 90 mm and 6-chamber geometry. 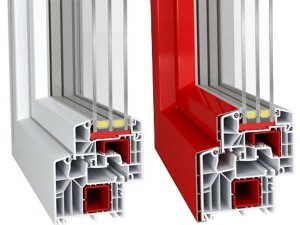 – The applicability of the glazing units with a thickness of 24 to 50 mm. – Steel reinforcements familiar with the 70-mm profile, providing static stability and long-term functionality. – Possible additional mounting hardware load-bearing elements in strengthening steel. 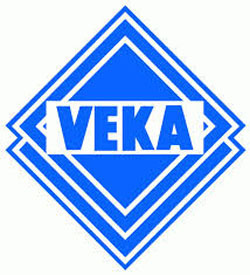 – The availability of a wide range of compatible and complementary elements of all 70-mm Veka profile systems. 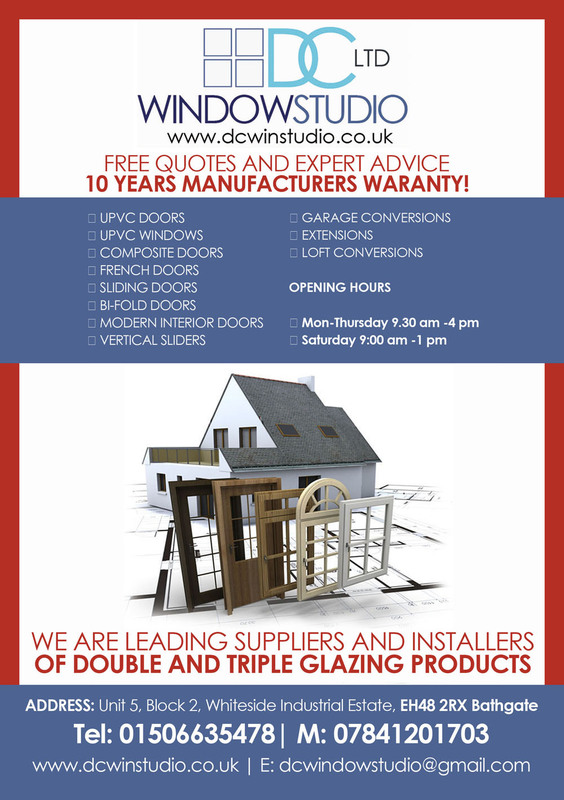 – Possibility of using triple glazing units. – Better acoustic insulation by direct connecting the wing with the glass pane. Technology ”bonding inside”. – 85 mm six-chamber system with the outside sealing. 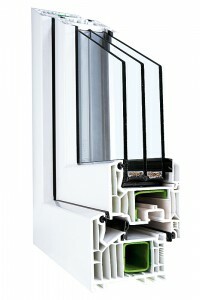 The Ideal 7000 NEW is new system of 85 mm is the next proposal of the ALUPLAST dedicated for energy-efficient buildings. 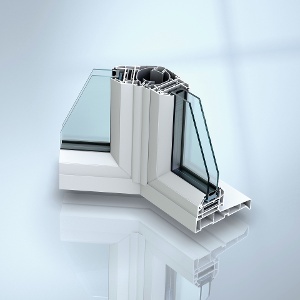 Depth of the profiles being 85 mm and 6 chamber structure are guaranteeing the thermal insulation above average. 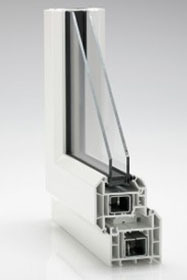 – Extremely durable and modern gaskets are ensuring that windows are tight and reliable. – Delicate round shape and angles are granting the modern and elegant appearance of profiles. – Delicate round shape and angle are granting the modern and elegant appearance of profiles.